Reputation You Can Count On: Call (978) 289-8890 Now! Founded in 1971, All Brands Appliance Repair has built a reputation in the Wilmington area for first-class customer service. Backed by decades of experience and a passion for problem solving, our home appliance repairs are quick and effective. We offer same-day service, short turnaround times, and honest pricing. At All Brands Appliance Repair, we have the knowledge and experience needed to deliver flawless results each and every time. We've been working in the appliance service field for 46+ years, so we know home appliances like the back of our hand. We're also fully licensed, bonded, and insured. 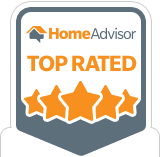 Additionally, proving our golden track record with customer service, we've been awarded the 2016 Best of HomeAdvisor Award and the Angie's List Super Service Award. These awards demonstrate our commitment to superior workmanship, dependable customer service, and a great value overall. 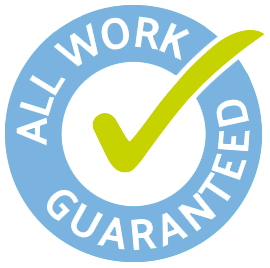 When you work with All Brands Appliance Repair, you will never have to question the quality or integrity of our expertise. We're passionate problem solvers, and we love the satisfaction of identifying and fixing appliance issues. Moreover, we love helping people. This combination means we're committed to finding and delivering solutions that truly work. In fact, to boost your confidence and protect your investment, we guarantee all of our appliance repair work! We love our local area, and nothing makes us happier than helping our friends, family, and neighbors in the community. You can count on our appliance repairs no matter where you're located in the region, including: Andover, Arlington, Bedford, Billerica, Burlington, Cambridge, Charlestown, Chelmsford, Danvers, East Boston, Everett, Lexington, Malden, Marblehead, Medford, Melrose, Middleton, Nahant, North Andover, North Reading, Lowell, Peabody, Revere, Reading, Salem, Saugus, Somerville, Stoneham, Swampscott, Tewksbury, Wakefield, Wilmington, Winchester, Winthrop, and Woburn. Ready to fix that broken dishwasher or gas stove? Learn more about our appliance service when you call or e-mail us today! When you need a home appliance repair in a pinch, All Brands Appliance Repair is the team to call. You can rely on our highly responsive team for same-day service and feel confident in the top-quality workmanship we provide. As Massachusetts natives, we're proud to help local homeowners in the Wilmington area whenever they're feeling the strain of broken or malfunctioning appliances. Plus, unlike other appliance repair companies nearby, we respect your time. We're extremely punctual with all of our appointments and we strive for the most efficient turnaround possible. After all, your satisfaction is what matters most to us. So when you're ready to restore your kitchen or laundry room's functionality, we'll be standing by to take your call. Get in touch with us today! We also offer Senior Discounts and Military Discounts!